You'll just love this new Hipster Vector Character Builder! With this hipster vector builder you'll be able to customize your own personal hipster vector man just how you want him. 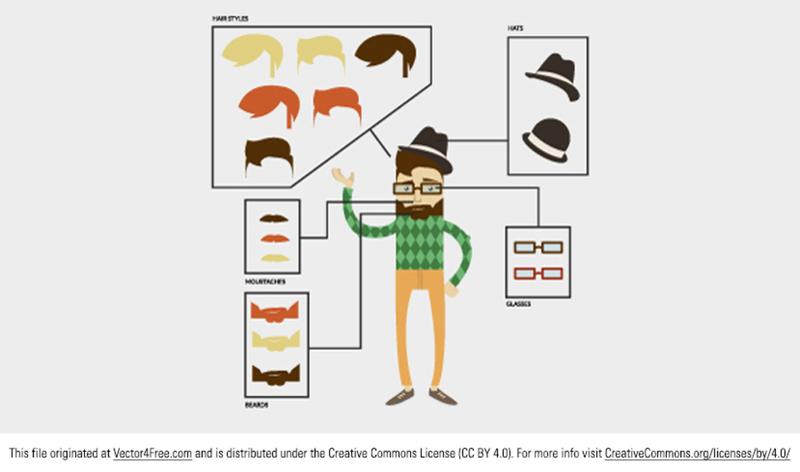 Add on glasses or a beard on this hipster vector character and you'll be good to go. Feel free to use it in commercial and non-commercial projects, personal websites and printed work, as long as its a part of a larger design. Please do not sell it, redistribute it yourself, claim it as your own or give it as a bonus item to boost sales for your own products. Download it now!